They may have gone unremarked in the press buzz surrounding the Fondazione Valentino- Garavani and Giancarlo Giammetti-produced, Sofia Coppola-directed La Traviata that premiered last year in Rome, but the promotional materials for the opera did not go unnoticed. Who provided that gorgeous illustration of Violetta for the campaign? None other than David Downton, the fashion illustrator who Vanity Fair acclaimed as "in a class by himself. A calligraphic sense of spontaneity in the brushstroke informs Downton's work, some of the best of which can be found in his collection David Downton: Portraits of the World's Most Stylish Women, which was published in 2015 and includes illustrations of Valentino friends and muses such as Donatella Versace, Diane von Furstenburg, Linda Evangelista and Iman. 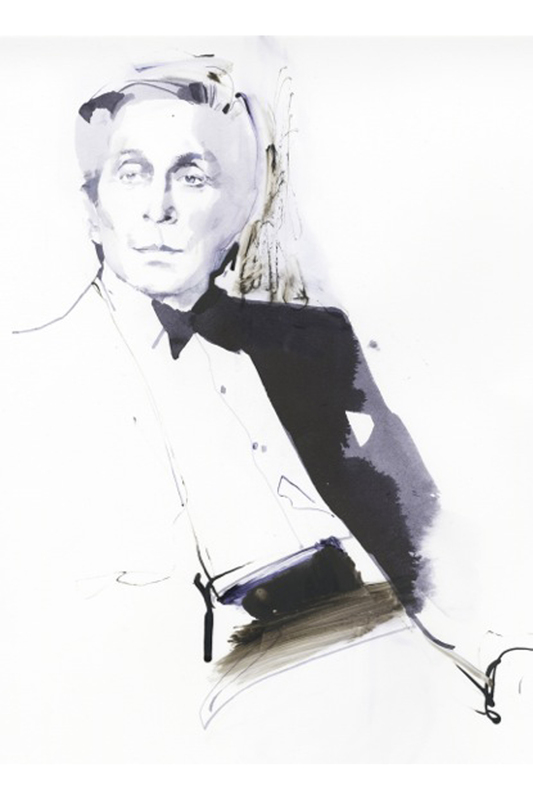 Downton has also drawn an indelible portrait of one of the world's most stylish men—Mr. 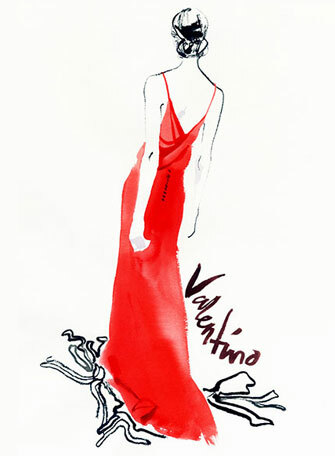 Valentino, a designer who holds a special place in his heart. "My first couture experience was drawing Valentino fittings at The Ritz in Paris," Downton told Vogue.co.uk in 2012, ahead of the opening of the Themes and Variations show at London's Somerset House. Downton went on to sketch numerous Valentino shows—always careful to capture the precise shades of his signature Valentino reds. The designer and the illustrator are truly simpatico, as Downton hinted in that Vogue.co.uk interview, paying Mr. Valentino a compliment that the maestro could well have returned without changing a word. Valentino's hallmarks, Downton commented, are "lightness of touch, rigorous discipline and an unfailing glamour aesthetic." Well said.